In December, we’re all bombarded with “best of” lists, usually about movies, TV, or interesting people. Anyone can offer you that, but where else can you find a best of food list? Okay, so Bon Appetit did one. However, I think BA has officially lost touch. They’ve never been a casual cook’s food magazine, but the items that were awarded the 2013 seal of approval this year included items like Dalmatia fig spread, $26/pound sopressata, and not one but two Asian chile pastes (one Korean, the other Japanese). Sorry, but none of that made my list. 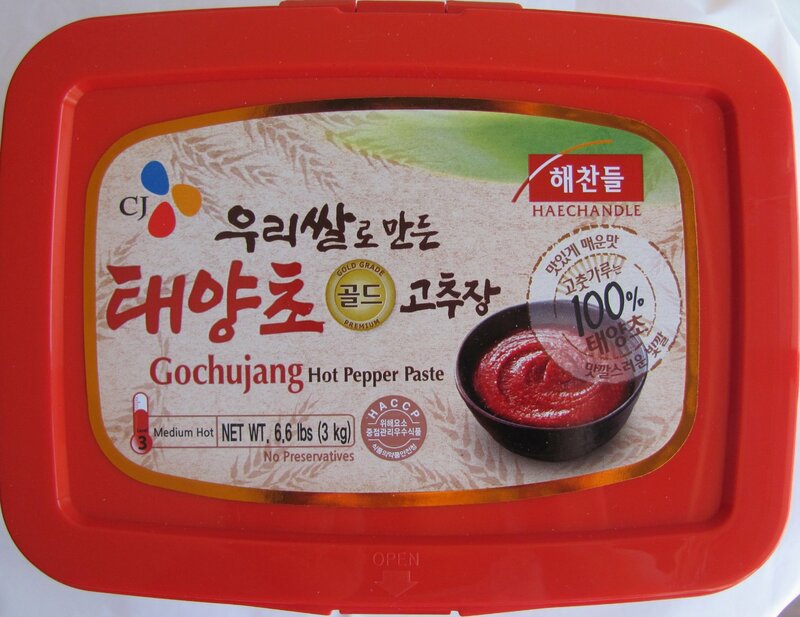 While I don’t doubt Haechandle’s gochujang hot pepper paste is good, I don’t know that it would ever make a list of my favorite foods of the year. To make my list, the product didn’t have to be new to the world in 2013, just new to me. Also, it had to be available either at a national retailer or online. Sadly, that meant that awesome sour cherry jam I can only find at the local Polish grocery and the life-changing falafel mix from Tabia Market weren’t eligible. If you’re a Durham local, I’d be happy to extol their virtues to you, though, if you want details. Also, if I was pretty sure I’m the only person in the world that would get excited about the product, I left it off. Okay, so maybe my South African friend might be excited about my Sharwood’s mango chutney discovery, but I’m pretty sure it doesn’t extend beyond the two of us. 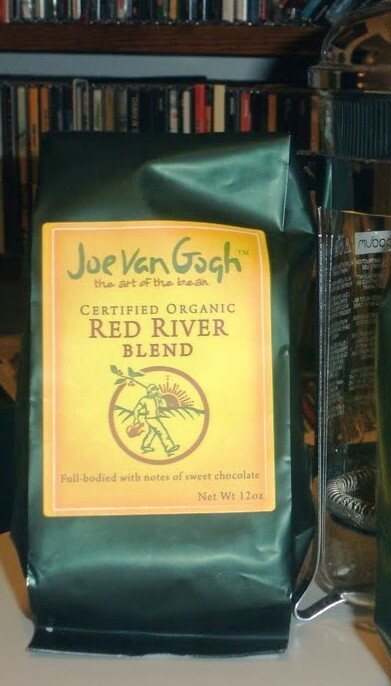 Joe Van Gogh’s Red River Blend. In the summer, I drink gallons of iced coffee. Even after it cools off, I find myself still making it because I like it so much. That has a lot to do with finding the perfect coffee beans. I have found Joe Van Gogh’s Red River Blend makes the best iced coffee I’ve tasted. For Durham locals, buy it at King’s Red & White at the corner of Roxboro and Club, because it’s only $8.99 a bag there. For everyone else, you can get it at your nearest Joe Van Gogh or at their online store. Rishi Teas. Before I found Rishi, I mostly drank Harney & Sons. I think Rishi’s are even better. If you don’t like tea, or only a casual drinker, it’s not worth it to pursue Rishi’s teas, as they aren’t widely available. 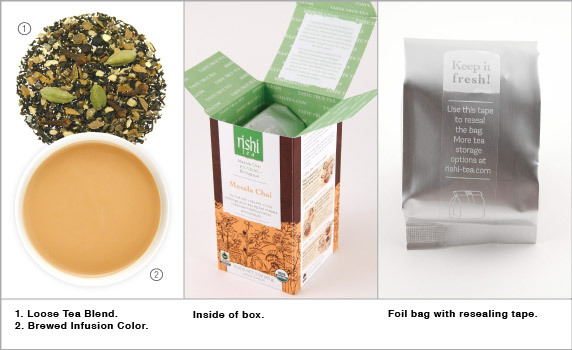 If you’re serious about your tea, though, you definitely need to try them. They make the best chai tea I’ve ever tasted and their cinnamon plum is also delicious. Whole Foods carries a few of their teas in small quantities, and if you’re in Durham, you can sample by the cup at Blend café in Golden Belt. I also know that Greyhouse Coffee & Supply in West Lafayette, Indiana, carries the line for those that don’t want to buy by the box or pound. Rishi makes a few of their teas in bags, but the great majority of them are sold loose leaf, including that great Masala chai. You can buy from Rishi direct, or from Amazon, which is what I do. 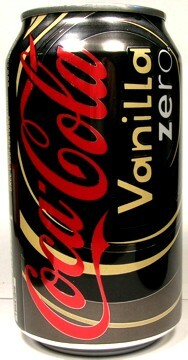 Coke Zero Vanilla. How much do I like this diet soda? Enough that I drive to the next county to buy it. Coke tried a Diet Coke Vanilla before and it wasn’t that great. Coke Zero Vanilla, however, nailed the formula. Sadly, no grocery store in Durham County stocks it, and we’ve looked. A few Harris Teeters in Wake County have it, though, and we’ve marked them in our GPS. I’m not the only one who’s this devoted to the beverage, either. Another friend makes the same trek to Wake County, and I have yet a another friend who had been stocking up when she visited her family in Virginia before I let her know she could get it in Wake County. Thankfully, it seems to be easier to find everywhere else in the country. International Delight Salted Caramel Mocha Creamer. Do you love Starbucks Salted Caramel Mocha but don’t want to pay $4 each time you want one? This creamer doesn’t exactly turn your morning cup of coffee into a Starbucks mocha, but it does taste pretty amazing. Sadly, it’s a seasonal flavor, so stock up before it’s gone. Look for it at any grocery store with the International Delight creamers. 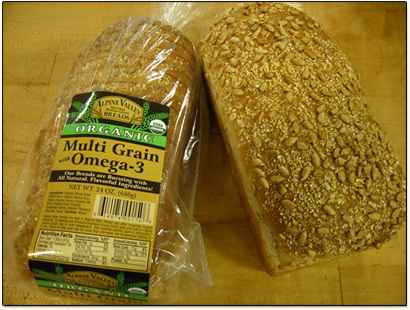 Alpine Valley Multigrain Bread with Omega 3. Yes, it sounds like it tastes like cardboard, but I swear it’s fantastic. I’ve had a tug of war with myself for years about bread. I read the labels and buy the one with more fiber and less sugar, and then wish I hadn’t when I eat it. For a couple of years I made all of my own bread, so I could eat bread that was good for me but also tasted decent. Eventually, I got lazy and went back to buying a series of multigrain breads I couldn’t really get excited about. This bread appeared at my Costco, and I decided to give it a try. It tastes very close to the bread I made at home. It’s a dense sunflower bread with wonderful flavor. It also freezes well. Alpine Valley is carried at Whole Foods in addition to Costco. Panera’s Tomato Basil Bread. Most of the world probably already knew this bread tasted great because they’ve eaten a Bacon Turkey Bravo, one of Panera’s most popular sandwiches, which is made on the Tomato Basil bread. I don’t like gouda cheese, so I’ve avoided the BTB. However, our housemate started bringing home the bread this year, and I noticed it tasted a bit like tomato soup. 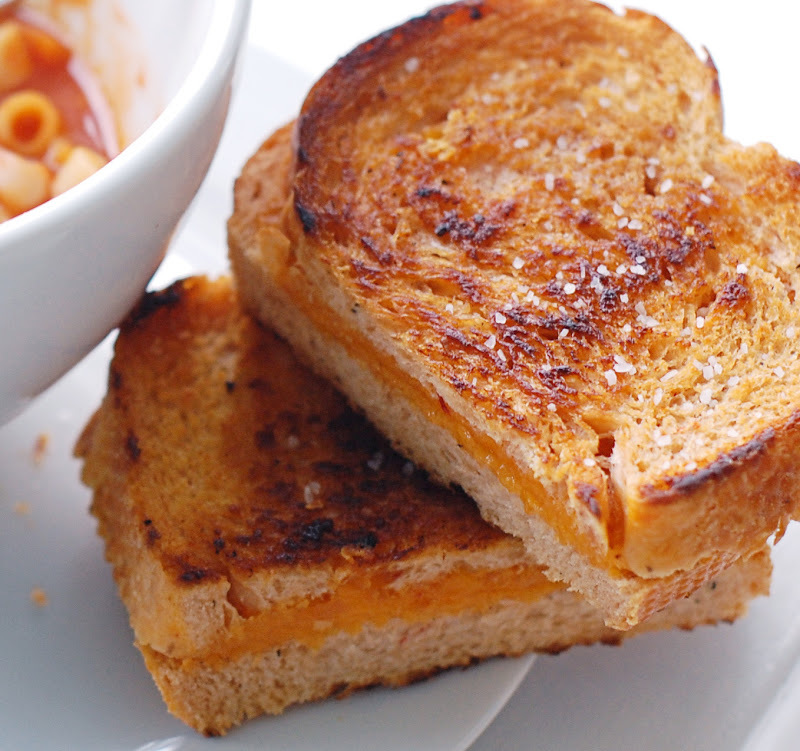 Since I always make a grilled cheese to dip in my tomato soup, I immediately thought the bread would make excellent grilled cheese, and I was correct. Now I buy the loaves routinely with a block of my favorite sharp cheddar. It’s a match made in heaven. 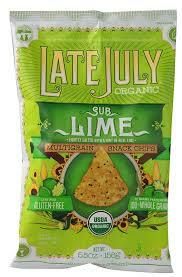 Late July Sublime Multigrain Tortilla Chips. I have been a fan of the Tostitos with a Hint of Lime Chips for a while. I love lime in my tortilla chips, but my biggest complaint with the Tostitos is they’re a whimpy chip. Try to dip them in a hefty guacamole, and you come back with half a chip and no guacamole. Then you have to discreetly fish your broken off chip out of the dip bowl. A few years back I switched to Food Should Taste Good Multigrain Tortilla Chips because they were healthier, tasted good, and were excellent scoopers. The good folks of Late July have brought both worlds together. They have created a good tasting, healthier, and gluten free tortilla chip with a delectable lime zing that also scoops guacamole likes it’s no big thing. Late July is carried by Costco, Whole Foods, Earthfare, and Lowes Foods. 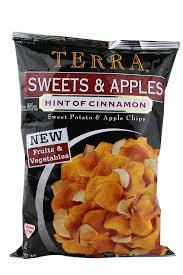 Terra Sweets & Apples Hint of Cinnamon. These chips are more sweet than salty, but they’re addictive. The cinnamon and dried apples added to sweet potato chips was a stroke of genius. I’m not sure if they’re really good for me, but I’m going to continue to lie to myself and say they are. We buy them in the giant bag at Costco, but Terra’s carried about everywhere these days, even Walmart. 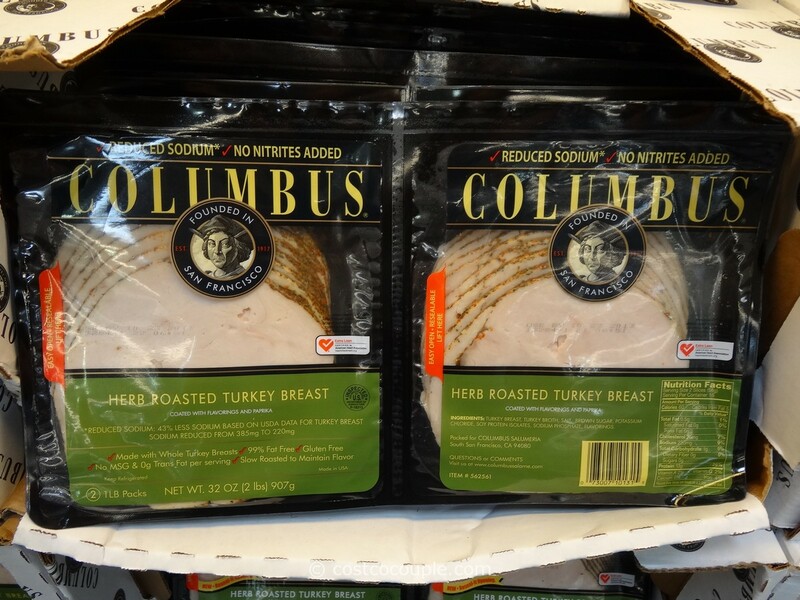 Columbus Sliced Herb Turkey Breast. This is not lunchmeat. I’ve eaten pounds and pounds of lunchmeat, and it tastes nothing like most of the sliced turkey I’ve bought from the deli over the years. I like turkey lunchmeat just fine, but this is something else altogether. It tastes like real turkey, the way turkey should taste at Thanksgiving if your host actually cooked it properly. It’s moist and seasoned with herbs perfectly, and as much as I plan on putting it between two slices of bread, half the time it goes straight from the package into my mouth. I found it prepackaged at Costco, but you can also find it at some delis and have it sliced in whatever quantity you want. If you don’t have a Costco nearby, try a Super Target. They carry some of the Columbus line. 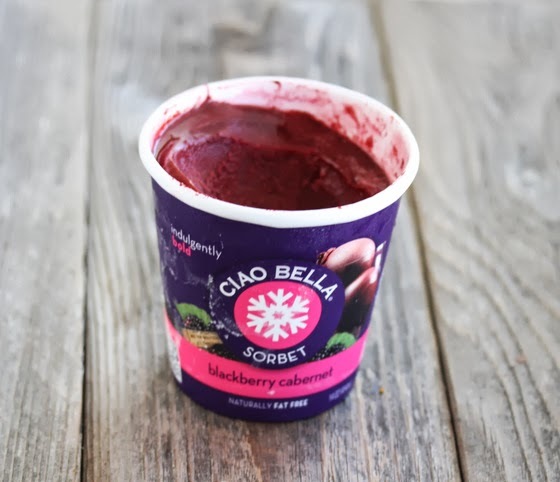 Ciao Bella Blackberry Cabernet Sorbet. Sorbet is generally pretty good, regardless of brand. It’s just fruit puree and sugar frozen. Most brands aren’t particularly creative in their flavors, either—raspberry, lemon, etc. Ciao Bella has a winner here, though. It’s smooth and sweet as you’d expect a good sorbet to be, but it also has a wonderful richness and depth to the flavor that was unexpected. Ciao Bella is at Harris Teeter, Kroger, and I think Super Target as well. 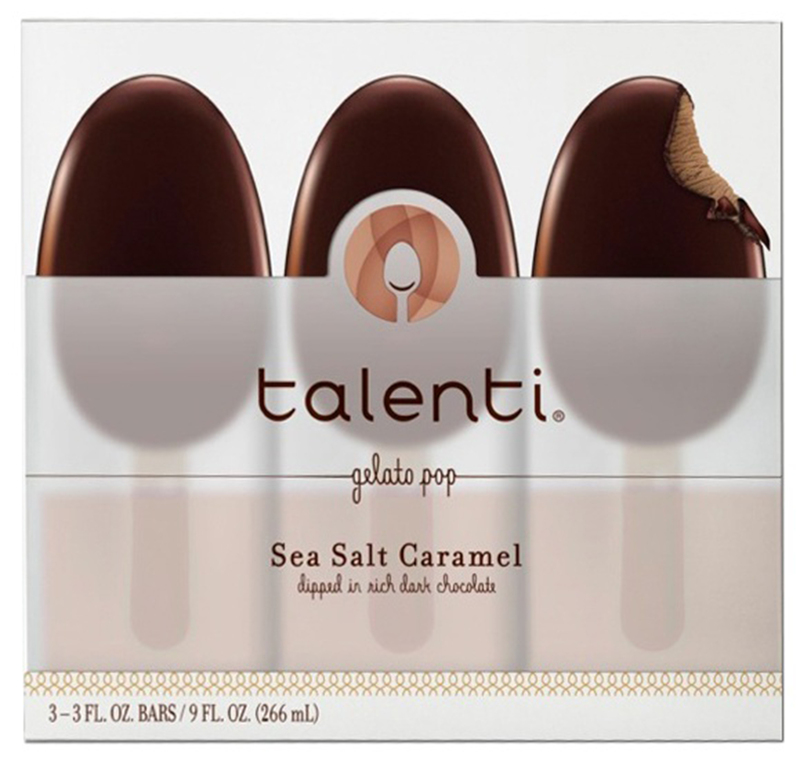 Talenti Gelato Bars. I’ve been a fan of Talenti’s gelato for awhile now, but they outdid themselves when they debuted their bars this year. My personal favorite is the Sea Salt Caramel dipped in Dark Chocolate. Harris Teeter carries that flavor as well as Double Dark Chocolate and the Coconut. Super Target also has a Mint Chocolate and a Banana Swirl dipped in chocolate. I haven’t found one I haven’t liked yet. They make a raspberry and a coffee, too. Coffee! Why does no one carry the coffee gelato bar dipped in chocolate? That seems like a no brainer to me. Hmm, I just realized that was eleven things. Well, you got a freebie. Don’t say I never gave you anything. What did you eat that you loved this year? I’m serious. I want to know. Same rules, though. If I can’t get it, don’t tell me about it. That’s just mean. Ah, Sharwood’s Mango Chutney. It’s very popular over here. Yes, see, a Brit cares. Aussies, South Africans, others who share the Mother tongue, but apparently we Yanks broke off too soon to appreciate a good chutney. In some grocery stores I can’t find any mango chutney, much less my preferred brand, so I’ve had to make note of where I can find the Sharwood’s. Whereas we are up to our necks in the stuff, especially at this time of year! You must send me that falafel mix! I would kill for a good falafel in this food desert I live in! Done. It’s very easy. You just add water, let it set for 30 minutes, then fry. Tabia makes it themselves. The seasoning on it is perfect. The market just opened this year, run by an Iraqi family to cater to the large amount of Iraqi refugee families that have resettled in Durham. I went with an Iraqi family, and they introduced me to it’s wonders. I need to get an Iraqi cookbook I’ve decided, because everything they’ve fed me has been fabulous.